Pleasanton, Texas history, vintage photos, forum, travel, hotels & more. 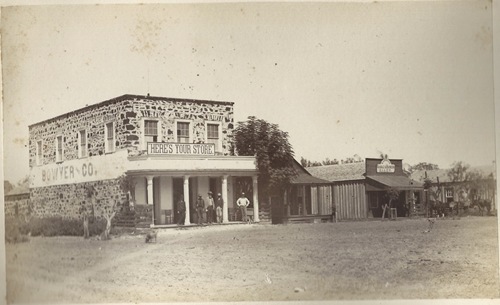 Indian troubles in the late 1850s prompted the establishment of Pleasanton. The town of Amphion (not 100% confirmed to have been the Atascosa county seat) had been formed 9 miles from present-day Pleasanton. Amphion was bypassed by the railroad and is today considered to be a ghost town. John Bowen is credited with naming the community after another settler named John Pleasant. Bowen generously donated five square miles of land to form the new town. In 1861 the population consisted only of a dozen families and the couthouse was a simple log structure. 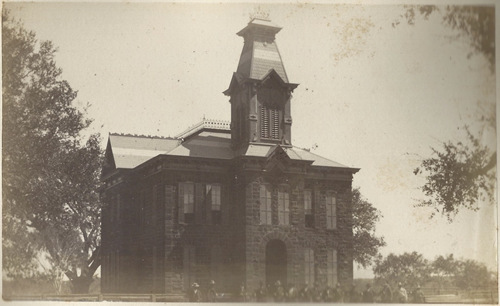 Nine years later a new courthouse was built and the log courthouse then served as a school. In 1875 the log school was replaced by a stone building. 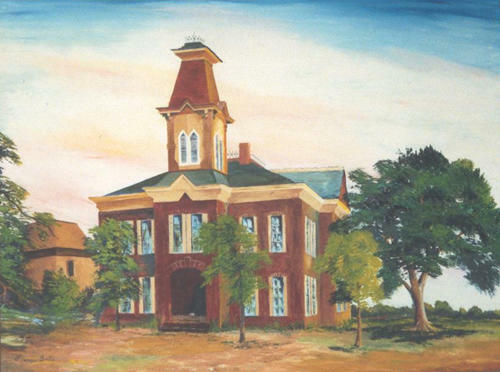 As county seat, Pleasanton had a bright future. At least it was bright up until 1910 when Jourdanton became the county seat. The Missouri Pacific Railroad connected Pleasanton to San Antonio in 1912 and two years later the town had service to Corpus Christi. Pleasanton was thriving with a sizeable population of 1,500 and became a collection point for cattle herds traveling north to Kansas. In the mid 1960s the "Cowboy Homecoming" became an annual event since town promoters considered the city to be "the birthplace of the cowboy." The festival is held each August. The population of Pleasanton reached over 6,000 in 1980 and over 8,000 in the mid 1990s. Many a Texas town had its hanging tree, an old oak bearing its ugly legends as well as leaves. But on a more pleasant note, Pleasanton may be the only place in the state � and the world for that matter � that had a cowboy tree. In a way, it抯 natural enough that Pleasanton would have such a tree, unnatural as the combination of the words 揷owboy� and 搕ree� seems to be. 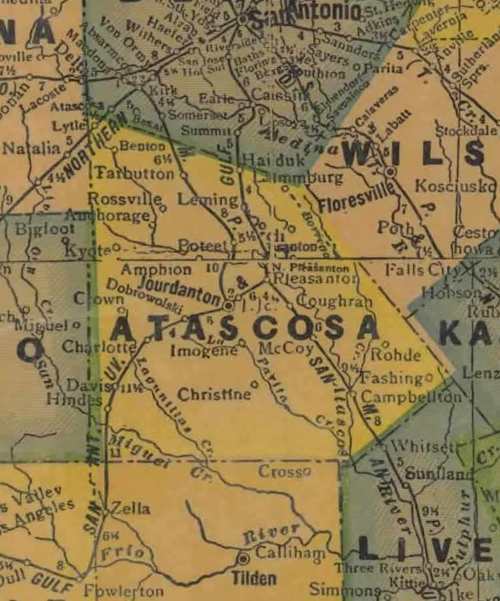 The Atascosa County community south of San Antonio has long claimed to be the birthplace of the cowboy. 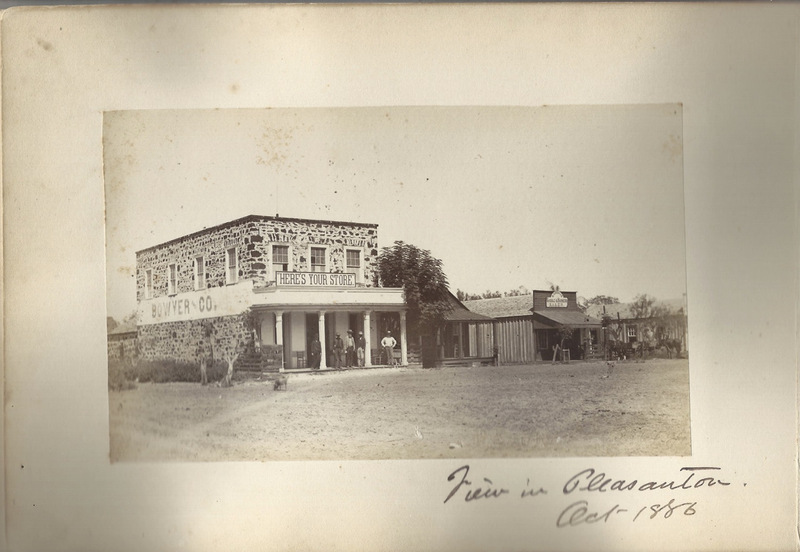 While proving that the very first Texas cowpoke swung into the saddle in or near Pleasanton would be a bit of a stretch, no one can question that the cattle business and the men who made it happen played an important role in Pleasanton抯 past. An historical marker on the city hall square notes that 43,000 head of Longhorn cattle passed through Pleasanton during the first three months of 1873. Located on the old El Camino Real at an easy crossing of the Atascosa River, Pleasanton had long been a transportation crossroads. When profit-minded Texans began pushing Longhorns up from the South Texas brush country to the railhead in Kansas in the early 1870s, Pleasanton made a convenient stopping place on what became known as the Chisholm Trail.